The Fund invests mainly in non-U.S. companies of any size with significant growth potential. The Fund invests principally in companies in developed countries. Diversified. International Stocks Poised To Outperform? Except for Standard Deviation and Sharpe Ratio, the performance based-characteristics above were calculated relative to the Baron International Growth Fund's(BIGUX) benchmark MSCI ACWI ex USA Index. Performance statistics for additional periods will be provided on request. Source FactSet: SPAR. AstraZeneca PLC (AZN) is a global biopharmaceutical that, since 2013, has followed a strategy based on a pipeline- driven transformation and a focus on three main therapy areas based on its core competencies: oncology, cardiovascular and metabolic diseases, and respiratory illnesses. We think AstraZeneca’s focused strategy could potentially produce a best-in-class growth profile. The company is a leader in economically attractive markets, particularly oncology, and has an opportunity to participate in emerging transformative markets, such as Alzheimer’s. After a trough in revenue and earnings caused by patent expiration of its blockbuster drugs in 2016, AstraZeneca has experienced strong growth. We forecast 2018 to 2022 revenue and EPS compound annual growth rate of 7% and 15%, respectively. RIB Software SE (RIB.GR) is a software company with a flagship application called iTWO. The application has 5D modeling capability enabling construction clients to manage a project from start to finish via one platform. The company is expanding its distribution channel via supply chain and cloud initiatives. RIB's iTWO brings technology to the construction industry, which has underutilized technology to date. Whereas 13.4% of GDP is in global software, only 1% of construction spending is in software. iTWO uniquely combines 3D modeling with time and cost management, something that differentiates the product from its competitors. RIB has been expanding its distribution of iTWO technology via yTWO, its supply chain initiative, and mTWO, a cloud initiative in partnership with Microsoft. Nestle S.A. (NESN.SW) is a global consumer packaged food company that manufactures and markets infant formula, pet food, bottled water, confectionary, milk products, ice cream, coffee, frozen food, and other food categories. Nestle is the market leader in most of its categories. 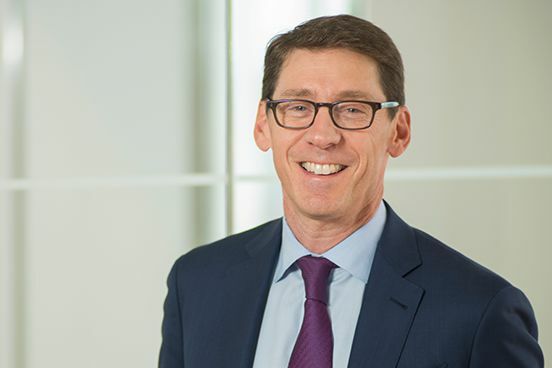 A new CEO and activist pressure have served as catalysts for positive change at Nestle over the past 2 years. The company has made several strategic changes to drive stronger sustainable profitable growth. Nestle has disposed of assets in low-growth categories and acquired assets in high-growth categories. Nestle accelerated share repurchases and cut costs. We expect Nestle to continue to improve capital allocation, optimize its portfolio, and increase profitability. Arco Platform Limited (ARCE) is a Brazilian education technology company providing educational content and software solutions to K-12 private schools. Its solution is a one stop shop for schools replacing several publishing and system vendors. Arco has grown rapidly with a presence in more than 1,100 schools in more than 450 cities throughout Brazil. Arco is in the early stages of disrupting a legacy industry -- book publishers -- with a modern learning platform, generating better results for students and higher rankings for schools. We believe Arco has the potential to continue its rapid growth for years to come while maintaining high profitability. KEYENCE CORPORATION (6861.JP) is a leading developer and manufacturer of factory automation equipment. The company's products include fiber optic sensors, photoelectric sensors, laser scan, and bar code readers. KEYENCE is headquartered in Osaka, Japan. As labor costs climb, manufacturers are increasingly adopting industrial automation to enhance productivity. This is especially true across Asia, and particularly in China, which is fast becoming a high growth market. KEYENCE leverages its strong R&D capabilities and a highly technical sales force to provide customized solutions to customers across various industries. We expect earnings to compound 12-15% over the next 3-5 years. Aena SME, S.A. (AENA.SM) is the world's largest operator of airports. The company manages over 45 airports in Spain, handling over 250 million passengers annually. Aena also has both majority and minority ownership in certain international (ex-Spain) airports. We think Aena is well-positioned to benefit from growing air traffic into Spain, which is a leading tourist destination. The company is competitively advantaged as a government-regulated monopoly with high barriers to entry. In our opinion, the improvement in consumer spending in countries such as the U.K., Germany, and France bodes well for sustained earnings growth. Linde Public Limited Company (LIN.GY) is the largest global independent industrial gas operator. The company was formed by the October 2018 merger of Linde and Praxair. While the merger between Linde and Praxair was only recently approved and required asset sales still cloud Linde’s financial picture, we believe the combined company can exploit significant operational efficiencies. We expect balance sheet improvements and selective growth opportunities to give rise to a much more valuable operator than either company could have become on a standalone basis. Grupo Lala, S.A.B. de C.V.
Kingdee International Software Group Co. Ltd.
PT Tower Bersama Infrastructure, Tbk. We are pleased to announce that Kyuhey August has been appointed to the position of Assistant Portfolio Manager for Baron International Growth Fund. In addition to a broader role in the research and management of the strategy, Kyuhey will take a meaningful role in developing and communicating a differentiated marketing story. Kyuhey will also continue in her current role as analyst. For more information, please contact us. 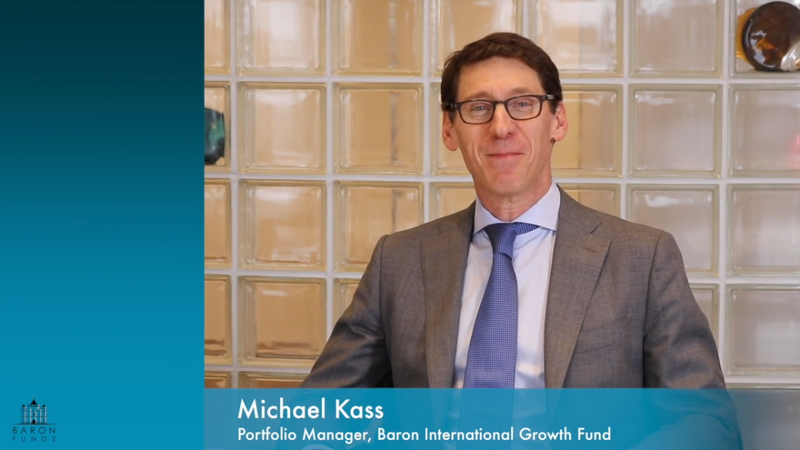 Michael Kass, portfolio manager of Baron Emerging Markets Fund and Baron International Growth Fund, featured in the February/March 2017 issue of Morningstar magazine discussing the Baron approach to growth investing farther afield. RISKS: Non-U.S. investments may involve additional risks to those inherent in U.S. investments, including exchange-rate fluctuations, political or economic instability, the imposition of exchange controls, expropriation, limited disclosure and illiquid markets. This may result in greater share price volatility. Securities of small and medium-sized companies may be thinly traded and more difficult to sell. Even though the Fund is diversified, it may establish significant positions where the Adviser has the greatest conviction. This could increase volatility of the Fund's returns. Definitions (provided by Baron Capital, Inc.): The MSCI ACWI indexes cited are unmanaged, free float-adjusted market capitalization weighted indexes. The MSCI ACWI Growth Index Net USD measures the equity market performance of large and mid cap growth securities across developed and emerging markets. The MSCI ACWI Index Net USD measures the equity market performance of large and mid cap securities across developed and emerging markets. The indexes and the Fund include reinvestment of dividends, net of foreign withholding taxes, which positively impact the performance results. Index performance is not fund performance. Investors cannot invest directly in an index.